Who says biopharma business research has to be hard? DealForma provides the data and does your research for you — so you can focus on finding & inking your next big deal. 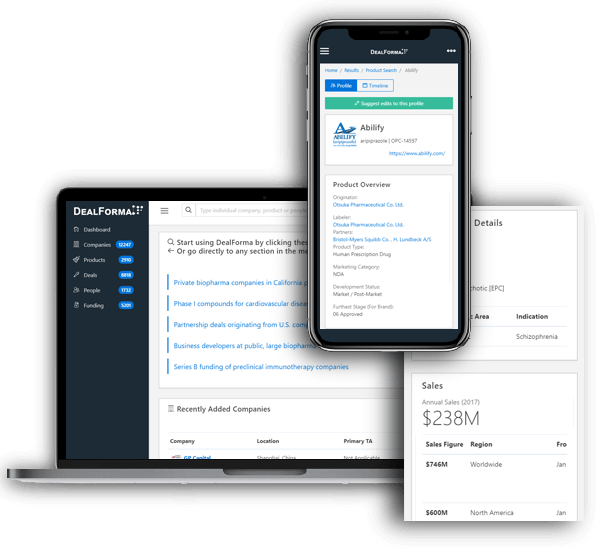 DealForma’s comprehensive database includes meticulously researched profiles, up-to-the-minute deal intentions and signals, historic company data, and useful reports. It’s updated every day so you always have access to the latest information. DealForma carefully curates profiles of companies, products, deals, funding, and people to speed up your research. Stay ahead of the industry with our deal signal tracking. You’ll always know which technologies and products are available for partnership. Identify product dealmakers and arrive armed and ready for meetings with comparable deal terms and due diligence on partner companies. Using a unique combination of automation and hands-on curation, our analysts track thousands of companies and dozens of data sources daily. We apply biopharma-specific attributes to each record, so you know you’re basing deals on the complete picture. Your DealForma subscription includes an expert analyst to help your business development team identify more partnership opportunities. 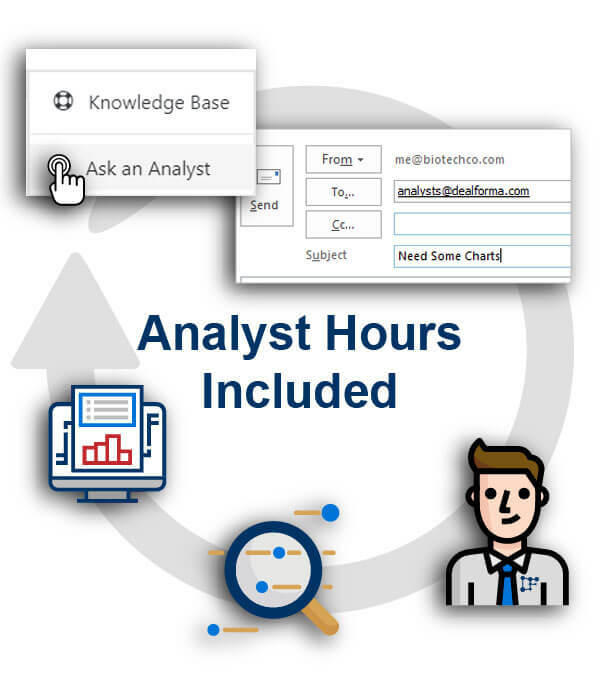 Direct support with your dedicated analyst is available by phone or email from 8AM to 5PM PST, Monday through Friday. Search more simply. Just fill in the blanks instead of checking dozens of boxes, and get comprehensive results. 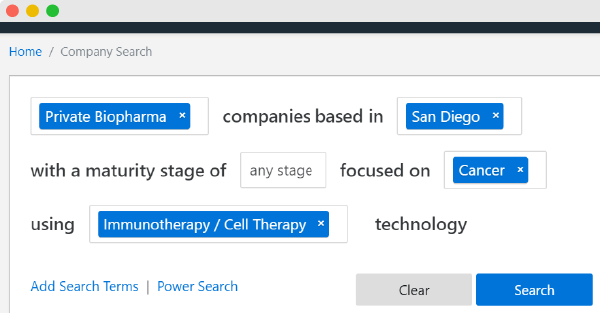 We created the simplest search function among any biotech database. As analysts working with this data, we wanted to get results rather than memorize complicated search fields. Our customers agree. instead of doing the research yourself? As analysts ourselves, we can’t stand dirty data — and we figure you can’t either. We QC every record so you can spend your late nights Netflixing, not cleaning data. We start analyzing deals and results the same day they’re announced, so you know you’re working with the most up-to-date content. Got questions on industry topics? We reply to emails the same day. Stop waiting on answers, and get your work done faster. DealForma users can suggest edits to any profile. We verify those edits independently and supplement our data with info you won’t find elsewhere. We track common identifiers so you can easily integrate with your data sources. Spot a deal structure you find interesting? Post a message on any data profile to chat with other users and learn more about it. Our deal trend highlight reports keep you in the know. Plus, they’re dead easy to drop into your own presentations… which makes you look real good. As great as our online interface is, nothing beats working in your own data program. There’s an easy way for you to export your results into your preferred software. Want to see how DealForma can work for your business? Schedule your personalized 30-minute demo today. We’ll hop on a screen-sharing call to show you exactly how DealForma can help you find the info you’ve been spending tons of time digging up. I like DealForma’s comprehensive coverage of the life sciences industry. 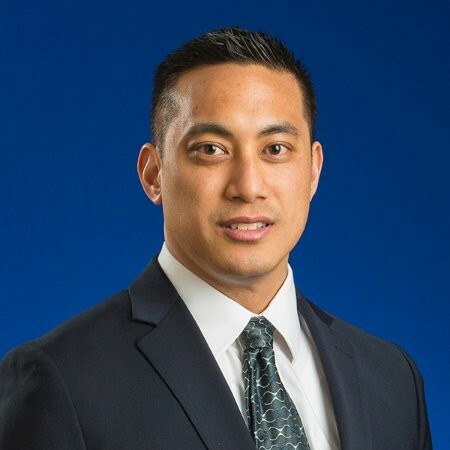 The intuitive search functions allow me to quickly extract deal benchmarks and other insights, which are useful in helping me evaluate potential opportunities." The breadth and quality of information in DealForma has saved our team countless hours over other data source. The focus on customers also sets them apart. Whether it's a quick question or a custom project, we get the right people to talk to fast." I’ve been reviewing data on biopharma business trends for 16 years now, and no one does the number crunching better than Chris Dokomajilar at DealForma. I’ve seen the data pressure tested repeatedly, and it is solid. 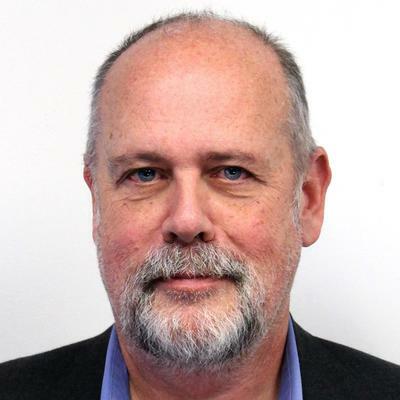 We’re proud to have him contribute regular pieces to Endpoints News." See how DealForma can help you get your business development research done faster. 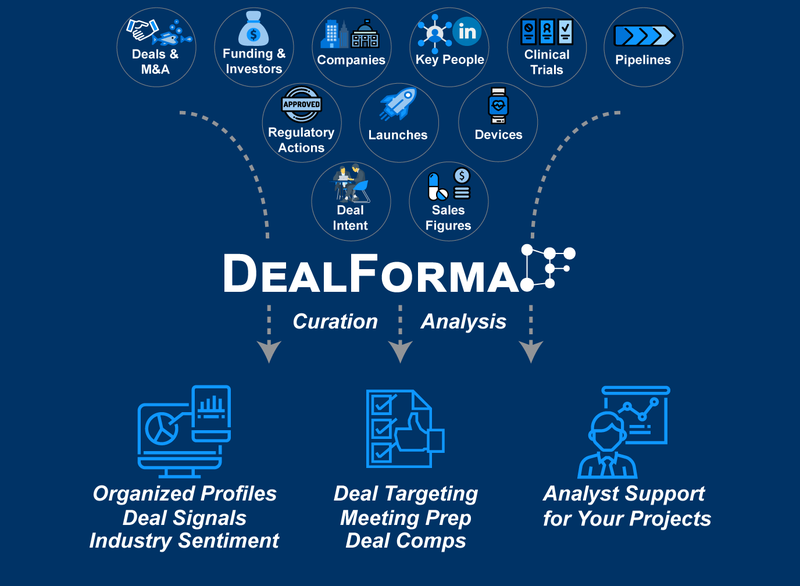 DealForma is the biopharma database providing you comprehensive information and analyst support hours to help you be more confident using quality data in your business development research.